Discussion of adapting banking and financial system to post-oil period and issues related to financial sustainability, learning best practices on new trends and innovations in banking, senior management of regulation and supervision authorities on finance and eonomy, CEOs of commerial banks, heads of business and public organizations, representatives of international financial institutions and foreign embassies, and other invitees. Zakir Nuriyev did his military service during 1981-1983. He worked in the capacity of Accountant – Inspector, Chief Inspector and Deputy Chief Accountant at the “Control and Inspection” department of the Ministry of Communications, Azerbaijan Republic from July, 1983 until January, 1989 after having served in the military. He was appointed to the post of Manager of the “Control and Accounting” division at “Regional Communication” Production Association of the Ministry of Communications, Azerbaijan Republic in 1989. Zakir Nuriyev worked in the capacity of Chairman of the Management Board at “Rabitabank” Joint-Stock Commercial Bank during 1993-1998 and has been acting as Chairman of the Supervisory Board at “Rabitabank” Open Joint-Stock Company since 1998 up to date. He was elected President of the Azerbaijan Banks Association in 1996 and worked in that capacity until 2006. He has been member of the Presidium at Azerbaijan Banks Association from 2006 till 2015. 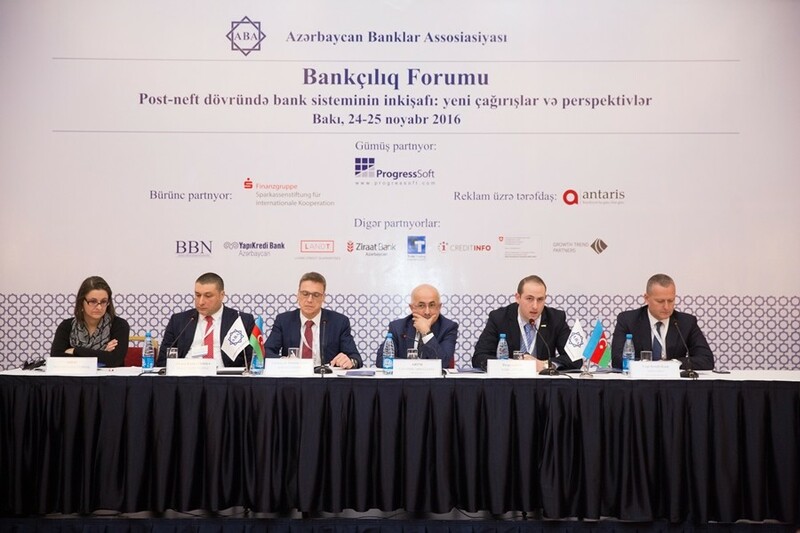 He was re-elected President of Azerbaijan Banks Association in 2015. “Bora Tamer Yilmaz started his professional career in 2007 as an M&A analyst at Bank Austria’s CA-IB taking part in cross-border deals focusing on acquisitions, joint-ventures and privatizations. Mr. Yilmaz has moved to Halk Yatirim in 2010 as a research analyst where He has taken the role of economist covering global developments and markets with a special focus on central banking. Mr. Bernd Leidner is a German development finance expert, specialized in Small and Medium Enterprise (SME) finance with a strong focus on the design, set-up, management and evaluation of credit guarantee funds for SMEs. Mr. Bernd Leidner has worked in various countries with specific experience in Afghanistan, Tajikistan, Lebanon, Morocco, Jordan, Palestine and Madagascar. Mr. Bernd Leidner is one of two managing partners of LANDT, a group of six aligned companies with a total of 50 staff members in Germany, Afghanistan and Tajikistan supported by associated consultants and advisors. The group includes ACGF — Afghan Credit Guarantee Foundation (ACGF) and CGFT — Credit Guarantee Fund Tajikistan GmbH (CGFT). ACGF and CGFT provide credit guarantees for SME loans and comprehensive technical assistance packages to their Partner Financial Institutions in Afghanistan and Tajikistan. Both credit guarantee funds are supported by local consulting companies and are acknowledged for their contribution to the development of the financial sector of the two countries. LANDT is a rapidly growing group, actively considering further expansion into other countries. Christoph Franzen is CEO of Trüb Trading (International) Ltd (TTIAG), a Swiss company specialized in delivering secure identification systems and solutions to governments and the financial community. Most notably , TTIAG is the contractual partner delivering the new Azerbaijan ePassport and the forthcoming Azerbaijan national eID system. Chris toph Franzen has served as CEO and Chairman of high-technology companies before joining Trüb to expand its systems and solution business. One of these companies also built real-time financial transaction systems for governments and large municipalities across the globe. Erhan Cetinkaya has been working for the and Supervision Agency of Turkey since 2005. He initially worked as an on-site auditor then he specialized on risk management topics. He has been working as the department head for the Risk Management Department of BRSA since 2015. He holds an engineering degree from Bilkent University (Ankara) and an MBA from Duke University The Fuqua School of Business. He has Certified Financial Analyst (CFA) and Financial Risk Manager (FRM) certifications. His specialty is mainly on international banking regulations, Basel 2-3 implementation and internal risk measurement models. Farid Valiyev works in Central Bank of the Republic of Azerbaijan since 2007. He is a head of Provision of Government Payment Portal Division from 2014. He did his bachelor degree in Applied Mathematics and his master degree in Mathematical and Informational Provision of Economic Activity in Baku State University. He is a participant of many projects in payment systems field. Kamala Gurbanova works in Central Bank of the Republic of Azerbaijan since 1988. She is a director of Payment Systems and Settlements Department from 2005. She has led many projects in the payment systems field. She has graduated from Azerbaijan State Economic University and University of Wales, MBA. In 2012, she was awarded with “Progress Medal” (Tereqqi Medali) for her services in improvement of the banking sector in Azerbaijan Republic. After graduating from Istanbul Technical University, Electronics and Telecommunication Engi- neering Department in 1992, Mert Oncu completed his MBA degree at DePaul University in 1994 where he was also a graduate assistant between 1993-1994. Oncu earned his doctoral degree from Marmara University in 2001. After a brief experience as Intern at the Chicago Mercantile Exchange in 1994, Oncu joined Kopbank the same year and worked at the Treasury department respectively as Senior Dealer, Section Head and Treasury TL/ FX Manager. Between 2003 and 2006, he served as the Money and FX Markets Manager. In 2006, he became the Head of Money and FX Markets at Yapi Kredi. Oncii has been Assistant General Manager in charge of Treasury and Financial Institutions and a Member of the Executive Committee since May 2011. Nabeel joined ProgressSoft in 2004 as a Software Developer in the Business Process Management teamuntil the end of 2006 where he implemented the PS-BPM system for Council of Family Affairs and Courts in Qatar. Afterwards, he reallocated to ProgressSoft’s Automatic Clearing House team as a Senior Developer and contributed in the design and architecture of the PS-ACH Switch from 2007 until 2010. The PS-ACH Switch was first implemented for the Central Bank of Qatar in 2009, and he was responsible for the design and development of the integration projects between banks in Qatar and the Automatic Clearing House at the Central Bank of Qatar. Starting from 2011, Nabeel has been working with the Mobile Payments team and is responsible for the design and development of PS-mPay and PS-mpClear. He is currently leading the development team that is handling ProgressSoft’s projects in Jordan with the Central Bank of Jordan and Dina- rak (Mobile Payment Service Provider), in addition to leading the team working on the country- wide Mobile Payments solution in Egypt. Head of Legal division of the Financial Markets Supervisory Authority Nurlan Babayev is an expert on financial law and international law. Nurlan Babayev has a master degree on Law and bachelor diploma on finance and credit. Nurlan Babayev has an experience almost 10 years on legal drafting. First he started his activity at the Head deparmetn of legislation and had been engaged in development of number of legislative acts during 3 years. He is also certified evaluator of Council of Europe and member of American Anti-Money Laundering expert association (ACAMS). 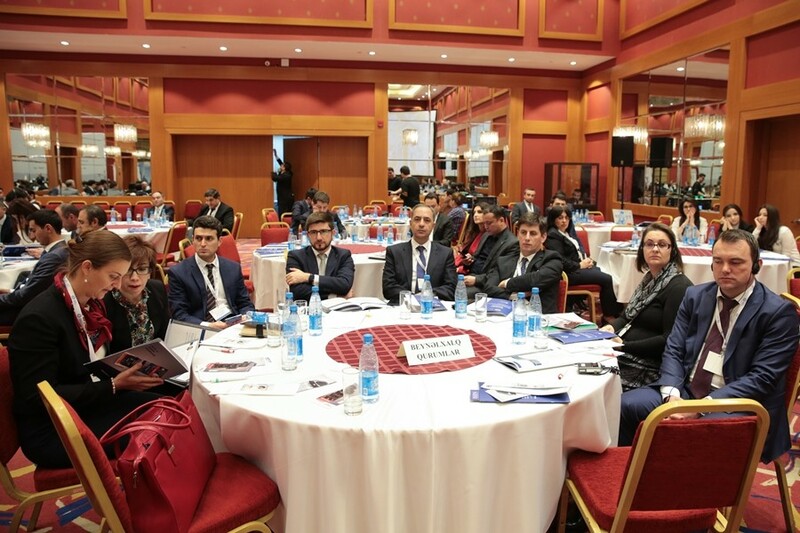 He actively participated on building of AML/CFT system in Azerbaijan as well as implementation of international standarts in this field during 6 years as a Head of Legal deparment of Financial Monitoring Service under Central Bank. 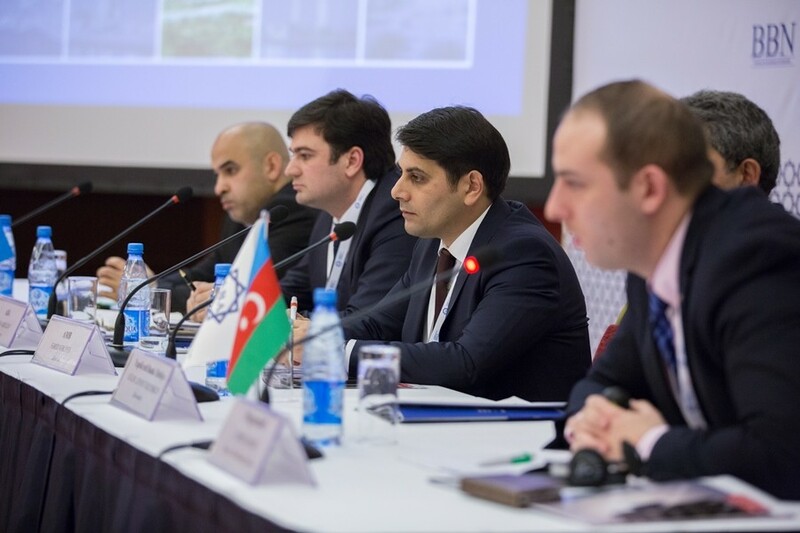 Nurlan Babayev was also member of Azerbaijan delegation at the MONEYVAL Committee of Council of Europe during 2011-2016 years and participated in number of evaluations of AML/ CFT systems of member countries. Over 30 years experience in banking and credit risk management, he is now supporting Creditinfo to deliver high quality credit bureau and consultancy services. He has an understanding of the needs and expectations of developed and emerging credit granting environments. This is a key factor in the ability to deliver results across multiple markets. Supporting credit bureaus set-up and delivery of add value products in markets including UK, Georgia, Tanzania, Kenya, Morocco, and Ukraine. Paul has been the key liaison person between the Azerbaijan financial sector and Creditinfo over the last 4 years in the set-up process of the first private credit bureau. Chairman of the board of Creditinfo Georgia which has served as an example of a market where credit bureau has been the catalyst to provide access to credit for the vast majority of the population from a historic low base. Formative experience he worked in two UK banks and also non bank credit grantors implementing and developing new risk management processes. Then he took on a Global Consulting role with Experian leading projects in Canada and South Korea to transform decision processes and meet Basel II requirements. Specialties: Risk Management, Scoring Model Development, Loss Given Default, Basel II, Risk Management Reporting, Credit Bureau Scores, Credit Bureau. Gorkhmaz Aghayev graduated from Baku State University Law Faculty in 2001 and received a Master's degree in Civil and Commercial Law and PhD in Finance, Information Law and Administrative Law. In the same year he taught civil law, trade law, tax law and labor law at the Academy of Public Administration under the President of the Republic of Azerbaijan. In 2004-2005 he worked at AtaConsulting as a lawyer at the Department of Legal Affairs, and in 2005 he was the head of that department. He worked in various positions at Bank of Baku OJSC as a leading specialist in Corporate law, head of Corporate law department and director of Legal Department in 2005-2011. In 2011-2013 he worked as a managing partner at CLC law company, in 2013-2017 he served as a legal advisor to the Chairman of the Board of Directors at Ata Bank OJSC and a member of the Risk Management Committee. 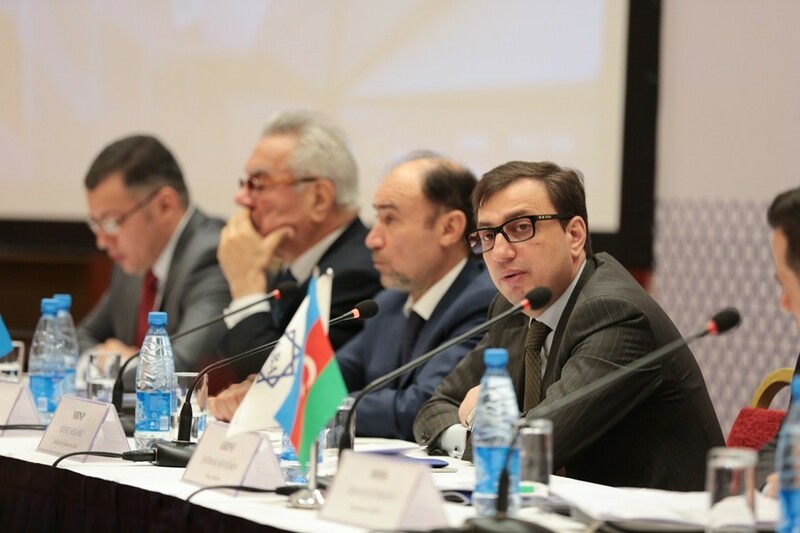 He became member of the Supervisory Board of Caspian Development Bank in 2015-2016 and Bank VTB (Azerbaijan) OJSC in 2016-2018. Since 2013, he has been an administrator at Medlex law company. Mr. Aghayev is also a Director of the Legal Department of Ata Holding, a legal advisor at Azerbaijan Global Investments company and a member of the Supervisory Board of Nova Bank of the Republic of Montenegro. Gorkhmaz Aghayev is the legal adviser of Portonovi resort & spa, which is the largest project of Azerbaijan in the non-oil sector outside of the country. 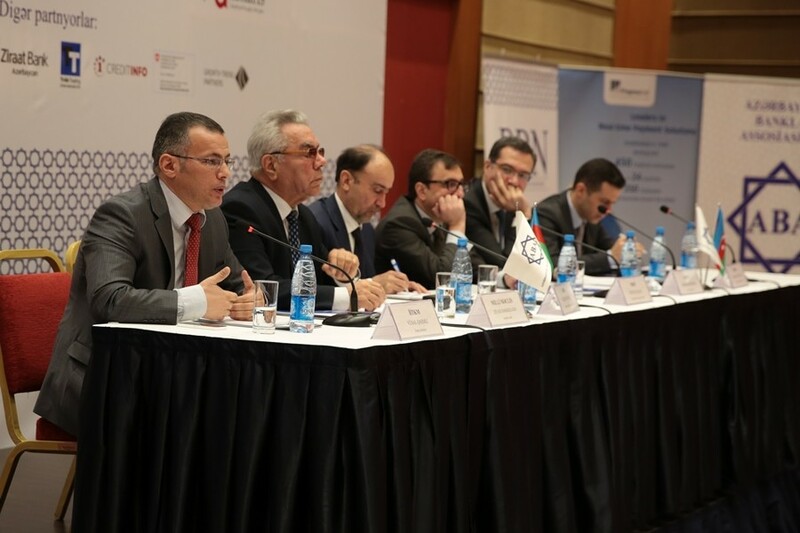 He is a member of the Azerbaijan Bar Association, Member of the Board of the Association of Risk Professionals of Azerbaijan and Chairman of the Legal Expert Group under the Azerbaijan Banks Association. Levent Ughur Ozcoshkun finished Public Administration/international Relationship Faculty at Marmara University in 1984. Now he is executing head of Committee of“Internet Banking” and he is director of Internal Control Prevention of Exploitation of ADC Field at “Yapi Kredi Bank” in Turkey. Additionally, Levent Ughur Ozcoshkun train internal personal about “Information Security”. For the period of 2006 – 2013 he has been working as Senior IT Auditor and Head IT Audit division in Central Bank of Azerbaijan Republic. From 2013 he supervised and implemented introduction of international standards on information technology, strengthening of information / cyber security assurance and control projects for financial institutes, Banks, telecommunication, industrial, energy and manufacturing companies. Implementation of complex models of operational risk management and improvement. From 2017 he is the Head of Practice in Management and Information Security of Prima Consulting. He is member of International ISACA Association since 2006. Renate Anna Stopsack, who was born in 1981 completed her school education at “Wulfert-Grund- schule Hemer“ and Friedrich-Leopold- Woeste-Gymnasium Hemer“. In 2007 Renate got her bache- lor’s degree from Hochschule der Sparkassen-Finanzgruppe - University of Applied Sciences at Finance faculty. Between 2004-2005 she served at Internal Revision department of“Stadtsparkasse Hemer“. In 2006 was appointed as a loan officer at „Stadtsparkasse Hemer“. Starting from 2007 she workes at Corporate Management department of„Stadtsparkasse Hemer“ and deals with the management of the whole bank with asset liability management, annual account, external regulatory reporting and results preview reports to the Management and Supervisory Board, corporate and risk strategies, risk management with focus on market price and liquidity risks. Renate Anna Stopsack delivered diverse lectures focussing on Corporate Development, Risk Management and Integrated Interest Book Management. She is also a treasurer of PRO BUCH — Booster Club of the local Library. Eynur Babayev was born in 1978. He graduated from Law Faculty of Azerbaijan International University in 1998. E. Babayev has been working for judicial authorities since 2001. He started to work as consultant at General Executive Office of Court Decisions of the Ministry of Justice of Azerbaijan Republic in 2005. Currently E. Babayev is working as head consultant at this authority as judicial councilor. He was awarded medal of“For Distinction in Civil Service” by on Order of the President of Azerbaijan Republic in 2011. Mr. Javanshir Abdullayev graduated from faculty of Finance & Credit of the Azerbaijan State Economic Institute in 1982 with honors. He has 6 months study of strategic management, HR management, risk management and others management issues in 10 leading European banks and businesses. His career began in 1982 as Credit Specialist in one of branches of USSR State bank and he was promoted up to leading auditor of controlling department of USS State Bank. After becoming of Azerbaijan as independent country in 1991 he was the Chairman of Management Board of one of the first private bank “Azinvestbank”. Later he became Chairman of Management Board largest State controlled Agro-Industrial Bank. In 1992-1993 he was Governor of Central Bank of Azerbaijan. From the first days of establishment of Azerbaijan Bank Training Centre in 2000 Mr. J. Abdullayev was appointed the Director. In short period of time he could establish the Centre, created highly qualified team and together with his team made Centre fully self sustainable and leading training provider of Azerbaijan. 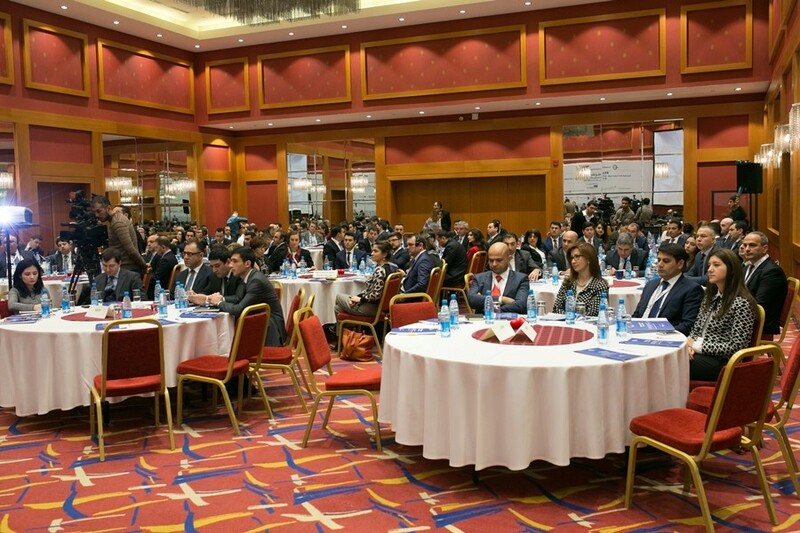 Since ABTC’s establishment than 100 consulting projects, created close partnership with 10 international institutions which involved Centre in 30 international projects, personally conducted more than 200 trainings on strategic planning, HR management, organization of efficient business processes, risk management, as well as soft skills topics. Moderator of the Panel "Challenges of post-oil period: new economic strategy"
Moderator of the Panel "Crisis management and diversification of activities of banks: lessons from world practice"
"PS-mpClear: The National Mobile Payment Switch solution." Moderator of the Panel "Bank legislation: problems and perspectives"